The video game movie “curse” is a well-established phenomenon at this point; when the most successful films your particular sub-genre of cinema has to offer are the lackluster Tomb Raider movies and the fun-but-forgettable Prince Of Persia, it’s hard not to think any endeavor in the direction of console-to-screen adaptations might be doomed. 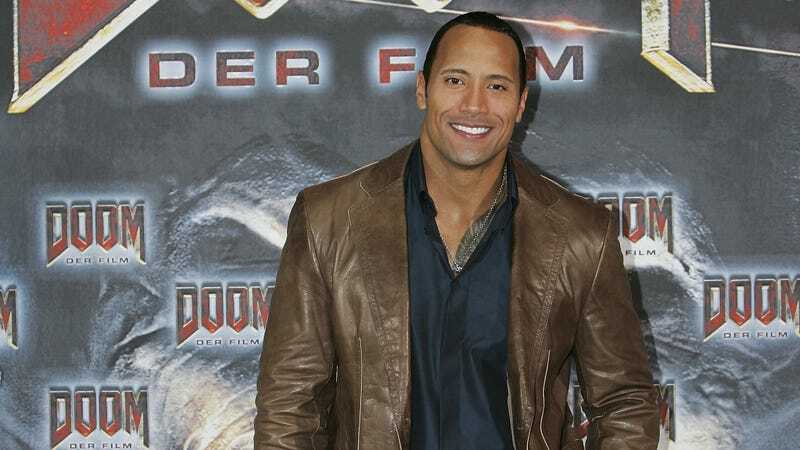 As he does with most obstacles, though, Dwayne Johnson appears poised to blow right through this one; although it might not unseat A Quiet Place at the box office this weekend, Johnson’s new movie Rampage, loosely based on the classic arcade game, is pulling in strong reviews for its fun, dumb take on video game violence. But, then, it’s not like Johnson hasn’t been down this road before; after all, the actor—back when the “former” in his “former wrestler” title was still pretty fresh—starred in a video game bomb of his own, the much-derided 2005 action thriller Doom. Despite featuring both a stomach-churning first-person action sequence, and lines like, “10 percent of the human genome is still unmapped. Some say it’s the genetic blueprint for the soul,” Doom failed to impress either audiences or critics, rendering it just another data point—alongside Super Mario Bros., Assassin’s Creed, and the entire cinematic output of Uwe Boll—in the big graph of crap video game films. It’s a succinct little exchange—so much heartbreak, in one little period!—but it’s also a reminder that just because a movie is, objectively, terrible, doesn’t mean it doesn’t deserve a little love. C’mon, Dwayne. For Sarge? For the BFG?